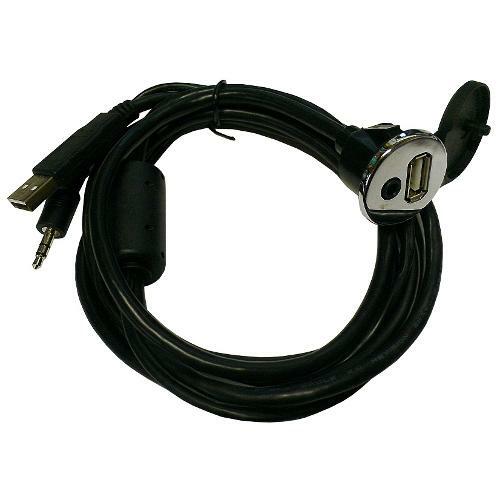 This USB & Auxiliary Extension Cable is a great add-on to our new OE Style Custom Stereos. This extension cable provides a front plugin for your USB and Aux devices to plug into the stereo. 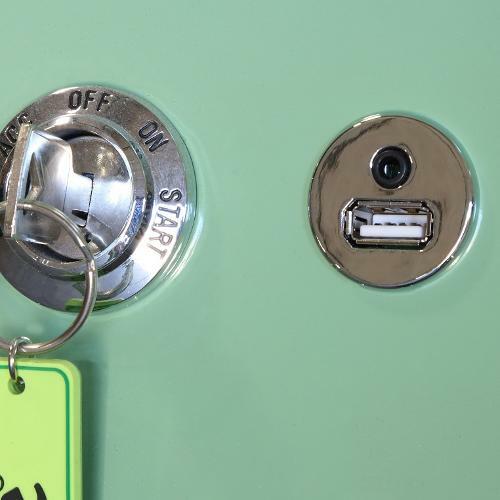 The plugin can be mounted in the dash or drill a hole wherever you wish to mount it. This USB/AUX Extension Cable has a chrome finish on the face of it. Also available with a black finish. Cable measures approximately 56" long.